1. Saved: Wanting to look great. Hilary Faye (Mandy Moore) of the movie Saved wants to be admired even though there is basically nothing admirable about her. On a basic level she knows this but, on another basic level, looking the part is her top priority. 2. 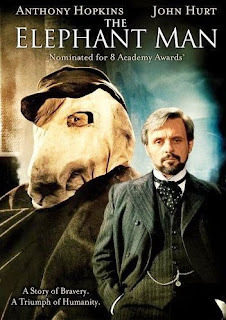 The Quick and the Dead: Wanting to be great. 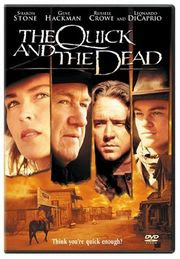 In The Quick and the Dead "The Kid" (Leonardo DiCaprio) wants to prove that he is the greatest gunslinger in the west (especially better than his dad). This level of greatness is another form of self-glorification, but at least there is some kind of measurable accomplishment required here. 3. Kingdom of Heaven: Lifting a Cause that is great (especially a cause that is greater than oneself). 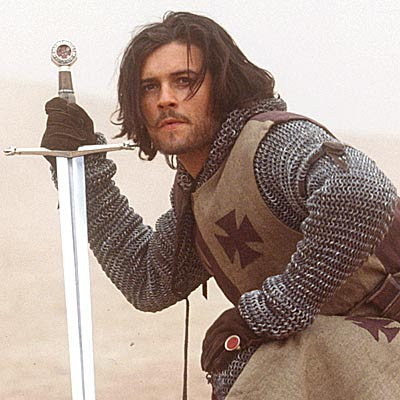 Balian (Orlando Bloom) risks life and limb to follow his conscience. This results in him getting banged up a lot as he stands up for those who can't defend themselves. I appreciate the way he is boldly confident all the while never thinking too highly of himself. Out of the three kinds of greatness, Balian seeks the best kind. Unfortunately, Greatness #3 can lead to an obscure, oftentimes uncomfortable life, which will end in a less than glorious death. For this reason Greatness #3 is the most difficult kind of greatness to appreciate -- it seems like foolishness to our natural inclinations. More to the point: The greatest people in the world demonstrate why God is great. In A Charlie Brown Christmas, the Peanuts gang gives Charlie Brown a special assignment: Go buy a big, pink, shiny, aluminum Christmas tree for their Christmas play. So Charlie Brown and Linus set out for the tree lot, where they wade through a myriad of gaudy, metal trees to find the only natural tree in the lot, which happens to be pitifully scrawny and prone to dropping the few pine needles still clinging to it. Thus, upon his return, the children berate Charlie Brown for his choice. This inspires him to cry out in desperation, "Isn't there anyone who knows what Christmas is all about?" Linus responds, "Sure Charlie Brown, I can tell you what Christmas is all about." He then steps out on stage where everyone can see and hear him and starts quoting Luke's Gospel (2:8-14) "And there were in the same country shepherds abiding in the field, keeping watch over their flock by night. And, lo, the angel of the Lord came upon them, and the glory of the Lord shone round about them: and they were sore afraid. And the angel said unto them, Fear not: for, behold, I bring you good tidings of great joy, which shall be to all people. For unto you is born this day in the city of David a Saviour, which is Christ the Lord. And this shall be a sign unto you; Ye shall find the babe wrapped in swaddling clothes, lying in a manger. And suddenly there was with the angel a multitude of the heavenly host praising God, and saying, Glory to God in the highest, and on earth peace, good will toward men." The children stand speechless. Charlie Brown, with a renewed spirit, leaves the auditorium by himself, taking his little tree with him. Approaching Snoopy's flashy, decorated doghouse, he decides to borrow an ornament for his tree. But the tree bends in half under the ornament's wait. Charlie Brown reacts saying, "I've killed it. Oh! Everything I touch gets ruined." Sulking away, he leaves the tree behind him, still bent to the ground. Then the other children enter the scene. Linus stands the tree upright, using his blanket to support its base. As one, the group transfers Snoopy's decorations onto the tree, transforming it into an attractive, confident looking Christmas tree. Soon thereafter Charlie Brown returns and sees his tree standing there, full and stately. 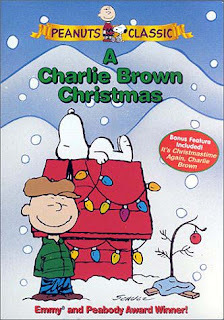 The movie ends with all the children yelling, "Merry Christmas, Charlie Brown!" Then the credits roll as they chime in to sing "Hark! 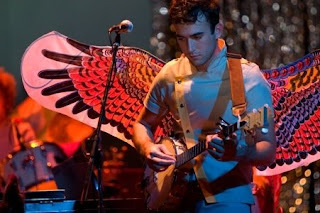 The Herald Angel Sing." --The little tree and the infant Jesus are so small and fragile that they cannot survive without the warmth and support of a simple blanket. --The little tree and Christ's incarnation are easy to take for granted at first glance, but they represent a spark of genuine life amidst a distracted and inherently artificial world. --Charlie Brown's tree was the only living tree in the entire lot, while Christ is the Fountainhead of Life for the entire lot of humanity. --Both the tree and Jesus Christ endure humble beginnings, but their inherent beauty eventually becomes recognizable to average, naked eye. During one of many awkward dialogues in Star Wars, Episode 1, Qui-Gon Jinn takes young Anakin aside to teach him how the Force works. 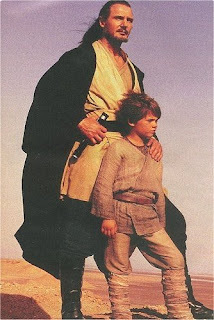 The Force works really well for Anakin because has a lot "Force Genes," also known as Midichlorians. According to Qui-Gon (and Obi-Wan Kenobi) Midichlorians float around in people's body like little tubes of super-Force glue. The more of these pseudo-genetic things you have, the better you will stick to the Force (or the the Force will stick to you). The fact that George Lucas tried to define the Force in such limited terms continues to offend Star Wars fans today (nine years later), because this was a misguided attempt to quantify something powerfully mysterious that was therefore better left out of any Webster's definition. The same thing applies to genuine divinity as well. God is unquantifiable--that's part of what makes Him God. Not only is He too big to measure, He transcends even the concept of measurement. He makes Himself knowable through Jesus Christ, but this too is a mysterious phenomenon. Ultimately we will never be able to define Him in human terms, nor will we be able to wrap our mortal minds around Him. This is a good thing; this hints at the fact that He is God. Star Wars fans respect the Force (even though they know George Lucas imagined it) to the point that they are upset by his attempt to quantify it (him/her?). Thus it is ironic that many, maybe even most, people are offended by God's infinitude. It is both good and necessary that God is immeasurable by human standards; otherwise he would be excessively limited, or mortal and therefore not worthy. People prefer to impress an excessively human character on God, as if He has room to improve, but this would imply that He is not perfect already, which would make Him less than divine. People liked the Force as it was before Episode One--untainted by this unsavory attempt at defining it in pseudo-scientific terms. Indeed, the ultimate question for all things -- "Why?" -- must transcend pragmatic phraseology. Science, for example, can tell us how things work, but it can't tell us why. Observing the way things are is a far cry from explaining why things are. Take gravity for example. We can observe the fact that two masses tend to exercise an attractive force on each other, but why? Someone must have invented the concept of gravity... why don't two masses repulse one another? Or electricity at the atomic level, or the fact that water expands when it is frozen... why? To know God we have to surrender any right we think we have to define Him. He will never fit in a religious or intellectual box. He will always exceed our expectations... and these are all good things. Incidentally, getting to know God is the most effective way to expand our intellect, our faith and our ability to deal with this present life. 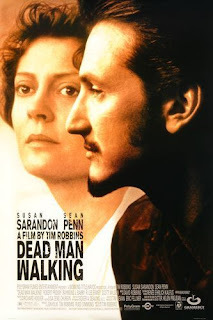 Dead Man Walking stars Sean Penn as Matthew Poncelet (the guy on death row) and Susan Sarandon as Sister Helen Prejean (the nun who reaches out the Matthew). 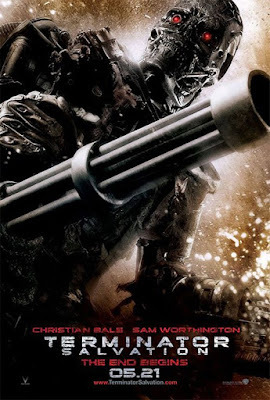 The main theme of this movie is mercy. Sister Helen's desire to show mercy to Matthew conflicts with the parents of his victims, who would like to see him dead. The parents think that bestowing kindness on Matthew is the same as condoning his actions. But this is wrong. They also think that he does not deserve mercy since "he's an animal, not a person." But this is also wrong. It occurred to me that, because of situations like this, it is useful to involve third parties such as Christian ministers. 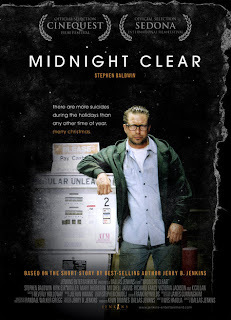 A man on death row might have a genuinely repentant heart (though this would not excuse him from his death sentence). If he truly desires forgiveness, then it would be inappropriate to wait for the relatives of his victims to forgive him because this might never happen and it's not necessarily their responsibility to forgive him (if they aren't Christian). Thus, it is necessary that a third party show the man God's mercy and, ideally, really mean it (like Sister Helen). The parents of Matthew Poncelet's victims are taken aback by the fact that Sister Helen didn't visit them first... after all they are the victims. This sentiment is justified on one hand, but on the other hand it is not. Both parties need help. Practically speaking, Sister Helen is more in the right, since the parents can seek out all the counseling they want while Matthew is only able to see whoever goes out of their way to visit him. Matthew also requested a visitation, which, in God's kingdom, carries a lot of weight in itself. The parents did not request a visitation from Sister Helen. To her credit, Helen takes it upon herself to visit everyone involved, listening and sympathizing with both sides. This is her much-needed job--to show mercy to both parties regardless of who seems more guilty. She does this with the knowledge that one or both sets of parents might hate her for trying to comfort Matthew. Mercy has to be unconditional, otherwise it would stop being mercy. The fact that we don't deserve mercy is exactly why we all need it. As I watched Dead Man Walking, I couldn't help thinking of Jesus' words, "It is not the healthy who need a doctor, but the sick" (Mark 2:17). This isn't to belittle the sorrow of those who have suffered a great loss, but rather, this is to Jesus' credit, that He came to be the merciful Third Party that we all desperately need. I don't know what it's like to loose a son or a daughter but, even if I did, it would not affect this general truth that we all need God's mercy. We all are faced with varying degrees of loss. Thus, another practical purpose for Christ visiting earth: To comfort, heal and restore people on both sides, those who take as well as those from whom something was taken. He is the best One to approach on all issues concerning justice, since He is both the Justifier and the one who will eventually carry out God's justice.